Stop! I'd like to see someone try to cross here with a vehicle, seeing as the footpath crossing has a palisade fence gate at either end! 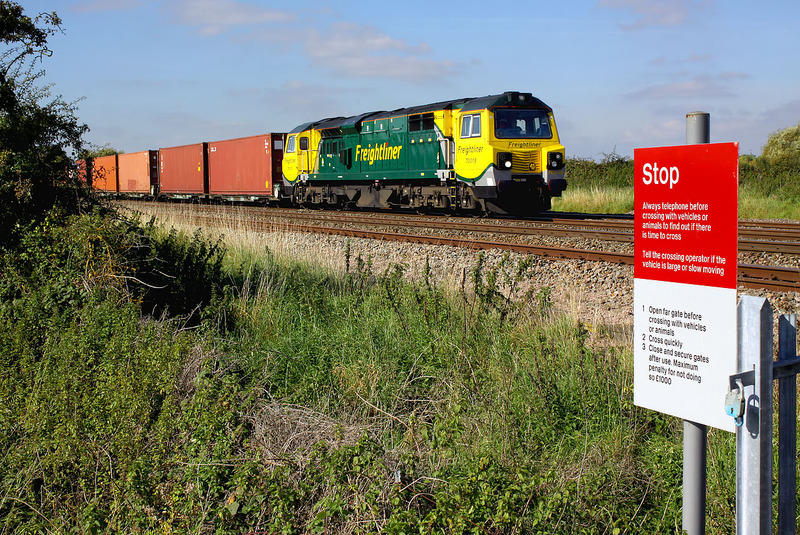 70018 passes Grove on 28 September 2015 with the 4O51 09:58 Wentloog to Southampton freightliner.